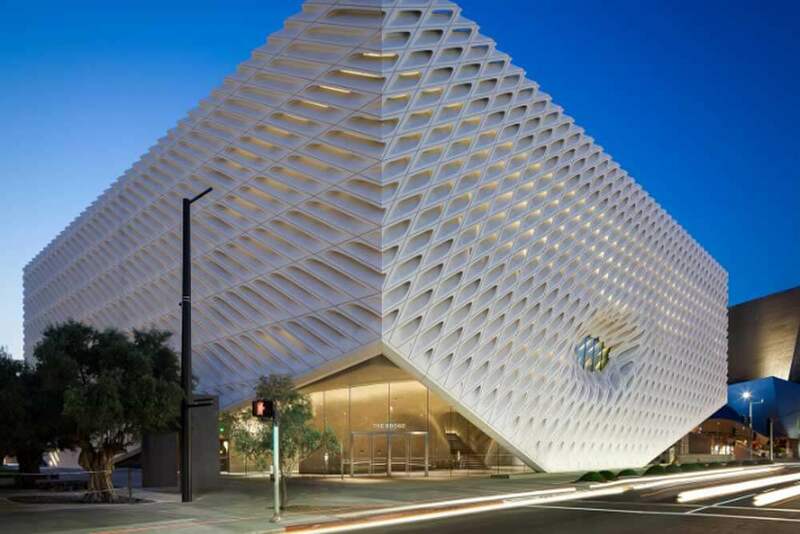 This creatively designed museum was built to showcase the work of Eli and Edythe Broad. The three-story building includes 50,000 sq. 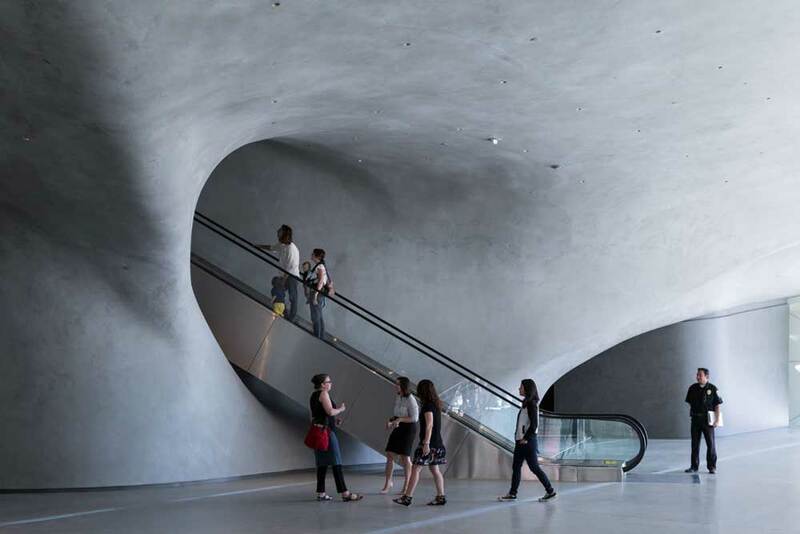 ft. of wide open, column-free gallery space on two floors, a lecture hall, offices, storage, and a state-of-the-art archive. The building sits on a below grade three-level parking garage.